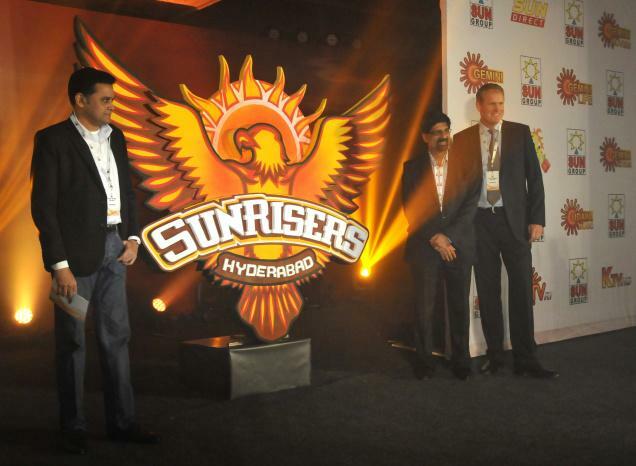 The Sun Group, new entry into the high-profile Indian Premier League, unveiled its team name Sunrisers and the logo of an eagle soaring high, looking into the core of a rising Sun in the presence of former India captain Krishnamachari Srikkanth, who will be the mentor and strategic analyst, and coach Tom Moody and Chief Executive Officer Shanmugam at a colourful function here on Thursday. Speaking on the occasion, Srikkanth said it would be a new challenge for him and for the entire team as it enters the fray to clinch the honours. “I have a very good friend of mine Tom Moody as the coach and the great V.V.S. Laxman as the mentor and brand ambassador. We will come up with the right kind of strategies as we all know what it takes to be a winning combination,” the former India opener pointed out. “I am big believer in Sun God and the new identity encapsulates the valour, chivalry, endurance, independence and fearlessness of the eagle synthesising with energy and radiance obtained from the Sun,” remarked Srikkanth. “I am really confident that this team will fly like an eagle and make a big impact in the next edition of the IPL,” Srikkanth said. “The whole idea of the team management is how to win the Cup and being the chairman of the Indian selection committee which picked the winning team for the 2011 World Cup, I am aware of the expectations and the challenges ahead. Similarly, Moody being himself a member of the 1987 World Cup winning Australian team and Laxman, the son of the soil, with his vast experience should be able to cobble up the right combination to stun the best in the competition,” he said. On the subject of creating the desired ‘home fans’ base in Hyderabad for Sunrisers, Srikkanth reminded that the Sun network has a very wide following in the entire south including Hyderabad. “It may not be out of place to recall here that I scored 90 against Asif Iqbal-led Pakistan team for South Zone to gain a slot in the Indian team. We are pretty well-known here and have a special affinity with this great City,” he said with a big smile. “It all boils down to creating the positive energy in the team. And, this I feel is the biggest challenge which made me take up this offer after being associated with Chennai Super Kings in the IPL earlier,” Srikkanth said to a query on how difficult a choice it was for him to shift his loyalty to the new franchisee. The Sunrisers mentor also didn’t agree with former India left-arm spinner Bishan Singh Bedi that IPL is killing cricket. “Everyone has the right to have his own opinion. I look at the IPL as a wonderful opportunity for the young talent to showcase their skills as contemporary cricket has following for all three formats – Tests, one-dayers and T-20s. For his part, Tom Moody too says that he is relishing the challenge of guiding the destiny of a new franchisee in the IPL. “I am looking forward to the exciting prospect of being associated with this team. The best part is that I have very good friend in Srikkanth as a mentor and the superstar VVS Laxman to support me,” he said. 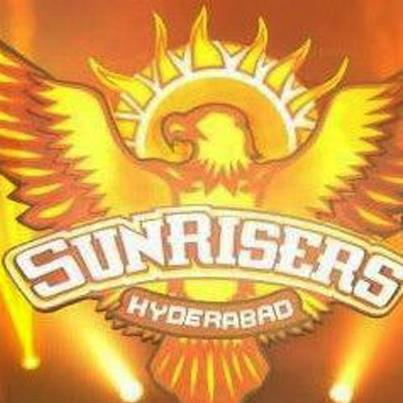 Mr. Shanmugam pointed out that the Sunrisers will operate from Chennai and Hyderabad and they have not yet decided on the exact number of players and whom they should go for auction next month. Laxman could not make it to the function because of a close family member’s demise. Kumar Sangakkara (capt), Cameron White, Dale Steyn, JP Duminy, Juan Theron, Chris Lynn, Ishant Sharma, Abhishek Jhunjhunwala, Akash Bhandari, Amit Mishra, Anand Rajan, Ankit Sharma, Bharat Chipli, Shikhar Dhawan, D. B. Ravi Teja, Parthiv Patel, Veer Pratap Singh, Biplab Samantray , Akshath Reddy and Ashish Reddy.